It’s really sad to see august, my favourite month of the year, ending and kiss the summer good bye. Many bloggers keep a journal of their vacation and I really envy them for that as I never found the time to write; I was out day and night partying till 3am every day. The Nightlife in Lebanon is one of a kind. At night, when kids go to bed, my husband and I sneak out to ride the bike and join friends. Whether it was clubbing, dining, camping,… we did it all. I love winter for The Christmas season but after that it’s just a countdown to summer. While in Strasbourg this year I tried many specialties, but what grabbed my attention (and taste buds) was a salad that has nothing to do with the Alsatian food. We had some of that chunky salad and then the next day we came back for more. I tried to guess the ingredients and this is my own version. Enjoy! 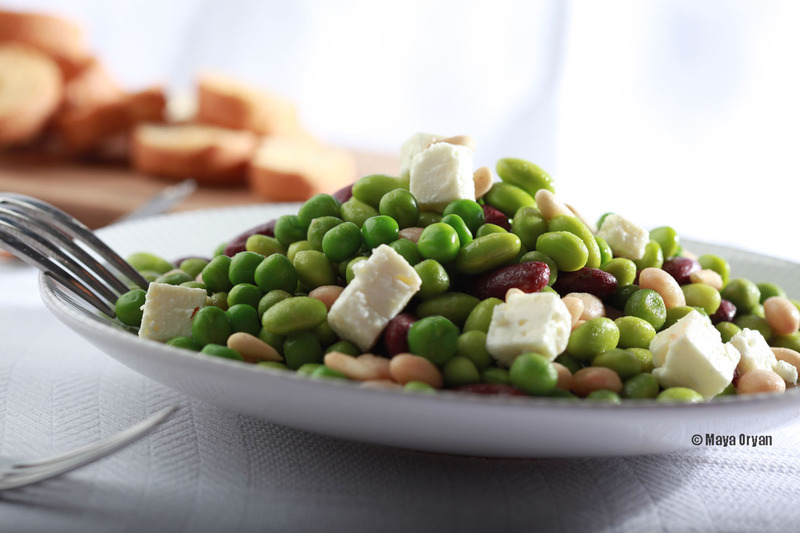 In a bowl, combine red beans, white beans, peas, mukimame, feta, bell pepper and pine nuts. Whisk together all the dressing ingredients and drizzle over the salad. Stir gently until all ingredients are well coated. This entry was posted in Salads and tagged consistent salad, edamame, feta cheese, green peas, idea salad, Maya Oryan, mukimame, red kidney beans, Salad, vinaigrette, white beans by Maya Oryan. Bookmark the permalink. Lovely, very different, Summer salad. 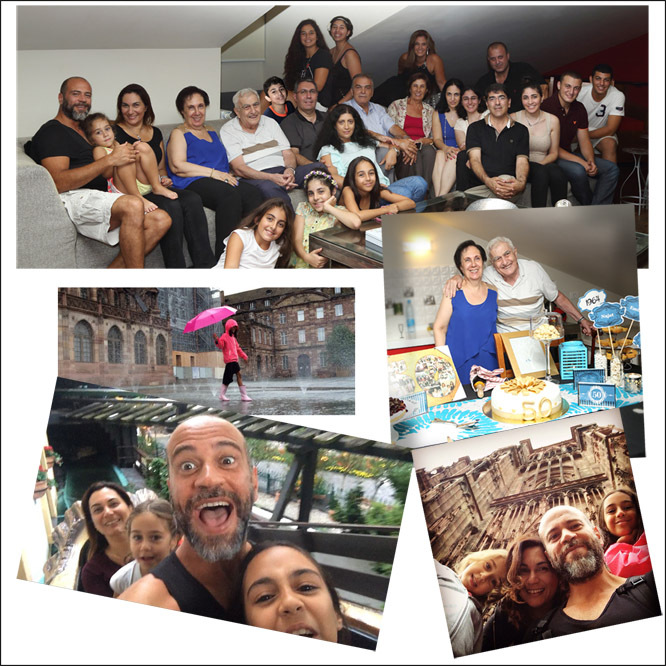 Thanks for sharing your lovely family photos! Your pictures are fun! And I love the recipe…a ‘must-try’ for me.